Because allergies to pets are common, people long assumed that exposure to pets made allergies more likely. A number of studies have turned this assumption upside down. The August 2003 Pediatrics Synopsis Book summarizes the current understanding. For a newborn coming into a home, or for a child who has not developed allergies, exposure to a dog or to multiple pets appears to decrease the risk of allergies, eczema, and perhaps (in one study) even asthma. In the studies summarized, as the numbers of cats and dogs went up, hay fever, eczema, and other allergies decreased. For a child who is already allergic, but not to pets, getting pets does not appear to help or hurt. For a child who is already allergic to pets, there is no allergic benefit to keeping the pets, and exposure will make symptoms worse. 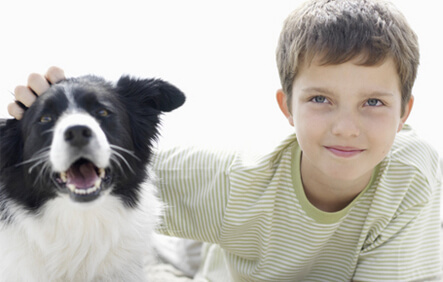 If a child has asthma and is pet-allergic, then it may be wise to move the pet from the home.